As I made my way through the world and along mountain hiking trails, I started to feel the desire and then the need to directly share my photos on social networks. My goals then came up against the technical reality of my smartphone, more specifically the blurriness caused by movement when making my shots. Having preferred using and of course buying a reflex camera as opposed to a smartphone with higher photographic qualities (in proportion to its price), I didn’t use my telephone to take pictures. Indeed, given the mediocre sensitivity (I mean the smartphone!) the pose time is increased and it takes images lacking in sharpness, even more so when you’re taking indoor shots. And that’s not to mention night photography! 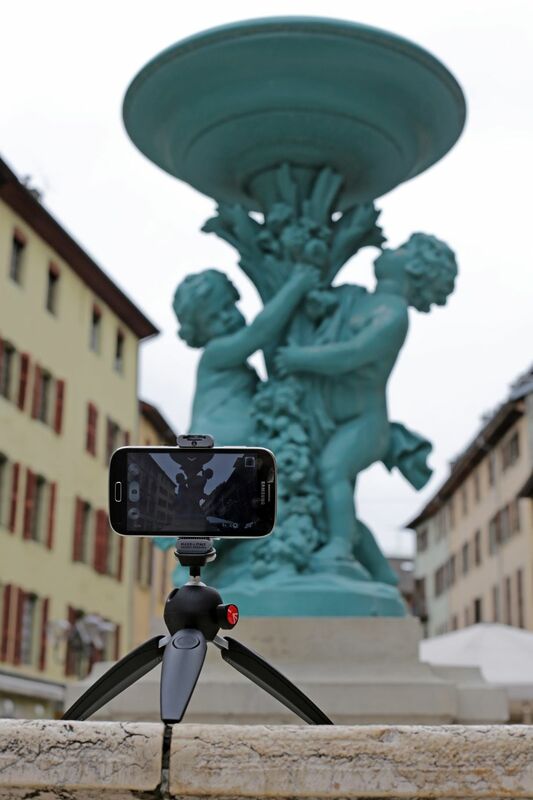 So I had two solutions available to me: get a more “technically adept” smartphone or a tripod to set up shots. 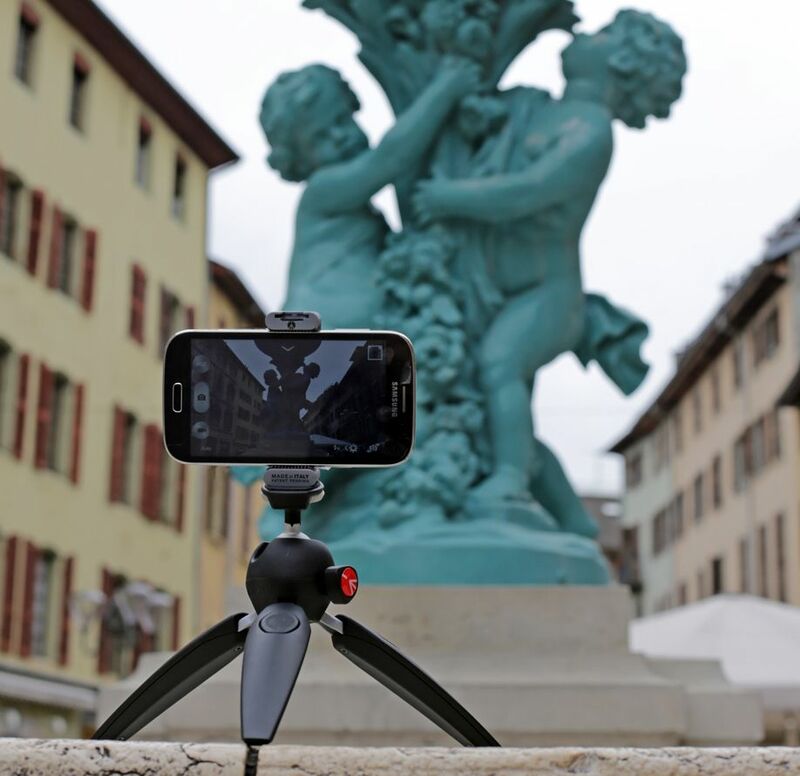 So, the TwistGrip mounted on a Pixi mini-tripod appeared to be the perfect solution since it is a lot less bulky and matched my original vision a lot more closely. When I find the right spot (bar, restaurant, etc.) when I’m traveling, I want to preserve the place in my archive in order to illustrate the article. But it’s not always very practical, or even recommended sometimes, to make a spectacle of yourself by unpacking all your photography equipment in front of everyone. At that point, using a smartphone is a lot more discreet! And given that in this type of location lighting is never that bright, I need to use my mini-tripod with the TwistGrip mounted on top to avoid taking a blurry shot. There’s a notch on top to attach a Lumimuse bulb to light up the scene if necessary). What’s remarkable about the TwistGrip is its weight and its dimensions (well remarkable may not be the appropriate term in the end because you really can’t even tell its there!) It’s the size of two pencils side by side, so the TwistGrip fits perfectly in any pockets because it pivots on both ends. So now, along with the Pixi Evo, I always keep it right in my “city trip bag“. Now I bring it every time I know I’m going to take some instant snapshots to publish on the web. When I’m visiting a city, there are those “mandatory” photos that everybody else has already taken and will take again because everybody loves those “postcard shots”, and then there are the pictures I want to work more carefully from an aesthetic point of view in order to achieve a much less common perspective. With the TwistGrip set on the Pixi Evo joint ball, I can find those points of view and angles that are totally out of the ordinary: for example, I can get right on the ground without having to stretch out every which way or lie down on the ground to hold on to my smartphone and take the photo at the same time. So with this, I’ve got my two hands free so I can comfortably frame my low angle shot. 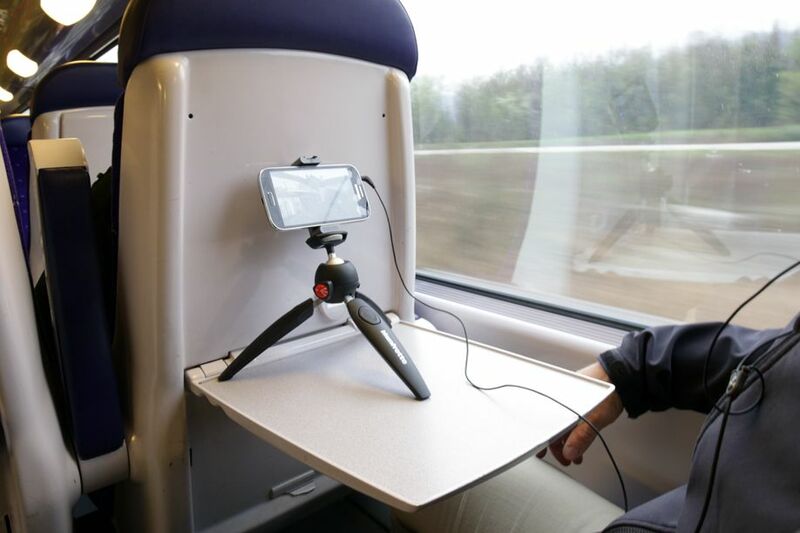 I’ve also used it as a stand to watch videos or play games during long car, train, and air travel. My wrists used to get tired because of holding my smartphone up. I would hold it on my lap, but that’s not a comfortable position for your neck after a while. So the solution was to prop it up any way I could on the tray, but with any bump, the phone would fall. After that happens four or five times, you get pretty irritated! Now, I set it onto the TwistGrip and the mini-tripod in a low position, and it’s like I’m at the cinema! Well, not really, but it holds really well. 🙂 I think it could also be a great accessory for self-portraits, but that’s not something I really do. Co-editor of the Trace Ta Route travel blog.